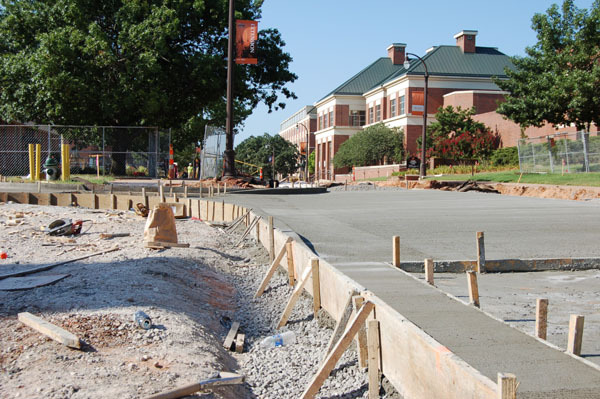 OSU Campus Projects - Keystone Engineering and Land Surveying, Inc.
OSU Commons. 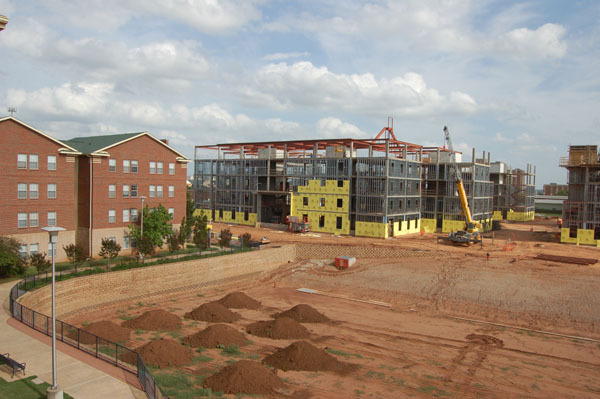 Work on the student housing project included surveys during demolition of existing facilities, rough and fine grading, and construction layout including storm sewer, detention facilities, and utilities. Partners: Flintco and Cherokee Builders. Monroe Street Mall. 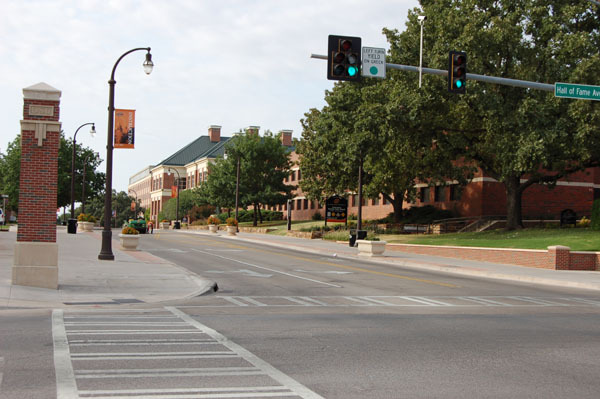 Keystone performed surveys and construction layout for extension of sanity sewer and water main lines, and coordination for existing utilities for new pedestrian mall. Partner: ML Young Contracting. 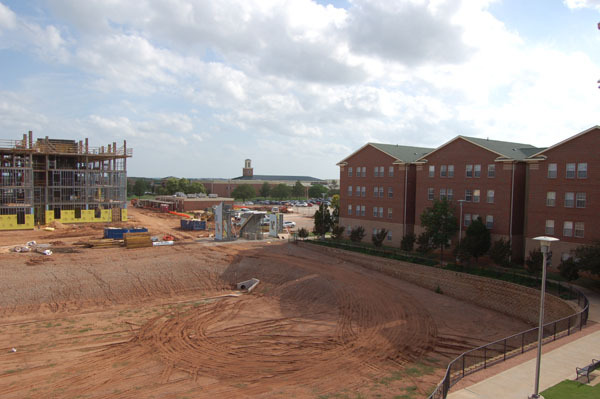 Bert Cooper Engineering Laboratory. Keystone performed pavement and storm sewer layout. Partner: Kerns Construction. Edmon Low Library Annex. Work included sanitary and storm sewer layout. Partner: ML Young Contracting. OSU Track. 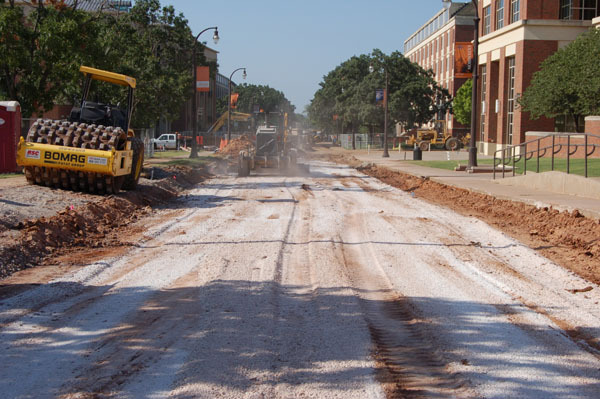 Visit our OSU Track project page. OSU Center for Veterinary Health Sciences (CVHS). Staking for construction layout, water and fire water layout, storm sewer layout, parking layout, and building layout. Partners: ML Young Contracting, Kerns Construction, Lambert Construction. 2014.